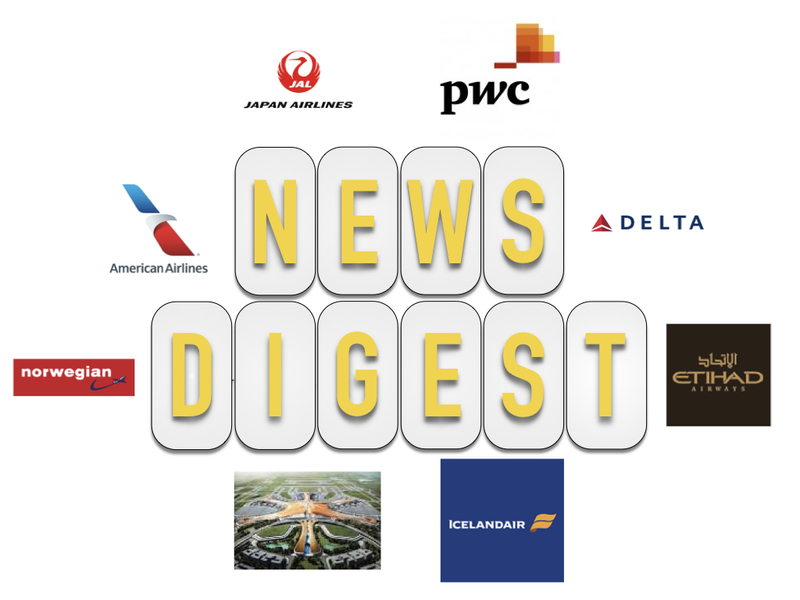 Today’s news digest incorporates features on Delta Air Lines, American Airlines, Norwegian, Etihad Airways, Japan Airlines, New Beijing Airport, Icelandair and PwC. 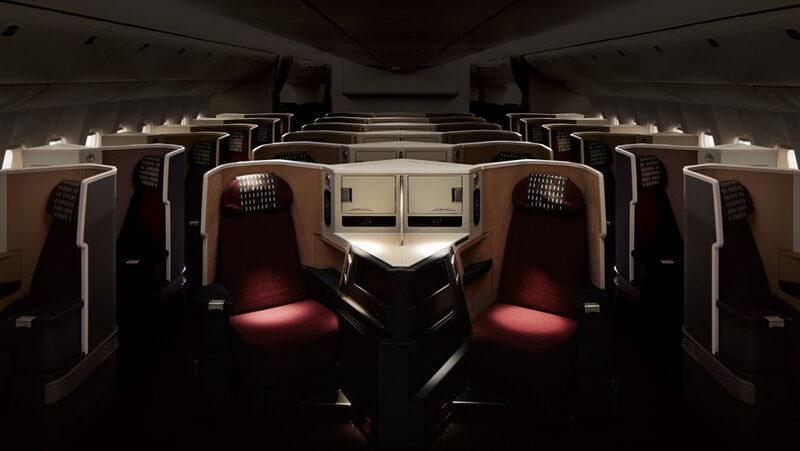 Qatar Airways Debuts New Qsuite Business Class On June 24 – Qatar Airways debuts its new Qsuite business class product which will be the first in the world to have an all suite design, double bed and quad space configurations. Skytrax Revealed The Best In The 2017 World Airlines Awards – Skytrax announced Qatar Airways as the best airline in its annual World Airlines Awards ceremony at the Paris Air Show. Delta refreshes free Main Cabin meals on coast-to-coast routes (Delta Air Lines) – The Atlanta based airline reintroduced free meals on board some of its longest domestic flights (listed below) since March 2017. The successful rollout allowed the airline to add more options including a cheese plate with cheese from the popular Murray’s Cheese store in New York City, a Luvo Harissa Roasted Veggie Wrap, a Greek Meze Plate, a Beef Pastrami Sandwich and a Sesame Noodle Salad. Eastern and western flights will offer three different options on a rotational basis. American Airlines says Qatar Airways interested in buying 10 pct stake (Reuters) – American Airlines announced it has received an unsolicited bid from its oneworld alliance Qatar Airways for 10% of the airline. Under current regulations, foreign companies can have up to a 25% stake of any US based airlines. The news sent the Dallas/Fort-Worth based airline’s stock up 4% at opening. At 3pm EST, the stock is still up about 1%. 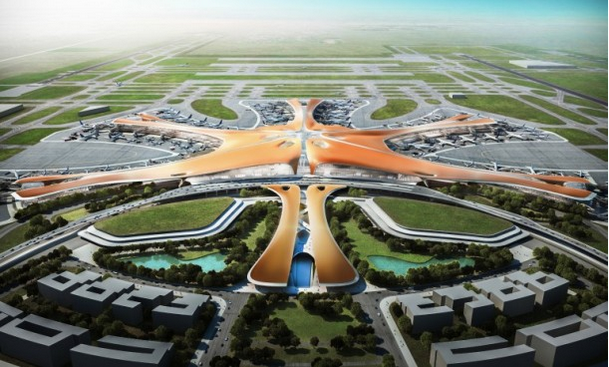 Beijing’s New Mega Airport Will Challenge Air China’s Dominance (Bloomberg) – Chinese aviation authority will allow China Eastern and China Southern access to the new Beijing airport located south of the city. The new space (Related News) will permit the SkyTeam alliance members to gain upwards to 40% of the marketshare each to Europe and Americas which has been dominated by leader Air China (Star Alliance). SkyTeam will likely move its lounge facility from the Beijing Capital International Airport (PEK) to the Zaha Hadid Architects designed space. Japan Airlines Introduces New JAL SKY SUITE Configured Boeing 787-9 (Japan Airlines) – The Tokyo based airline will install new JAL SKY SUITE Ⅲ design onboard its Boeing 787-9 aircrafts to be used in longer Asian routes such as Tokyo (Narita) (NRT) to Kuala Lumpur (KUL). This configuration is the sam 1-2-1 design used on international long haul aircrafts such as the Boeing 777-200s and will bring higher comfort to passengers in line with home competitor All Nippon Airways. Flight delays and cancellations caused by unscheduled maintenance can cost airlines and airports productivity and money. PwC is working with airlines to create an analytics system to better manage and predict maintenance schedules that could alleviate some of the unpredictability and improve reliability.